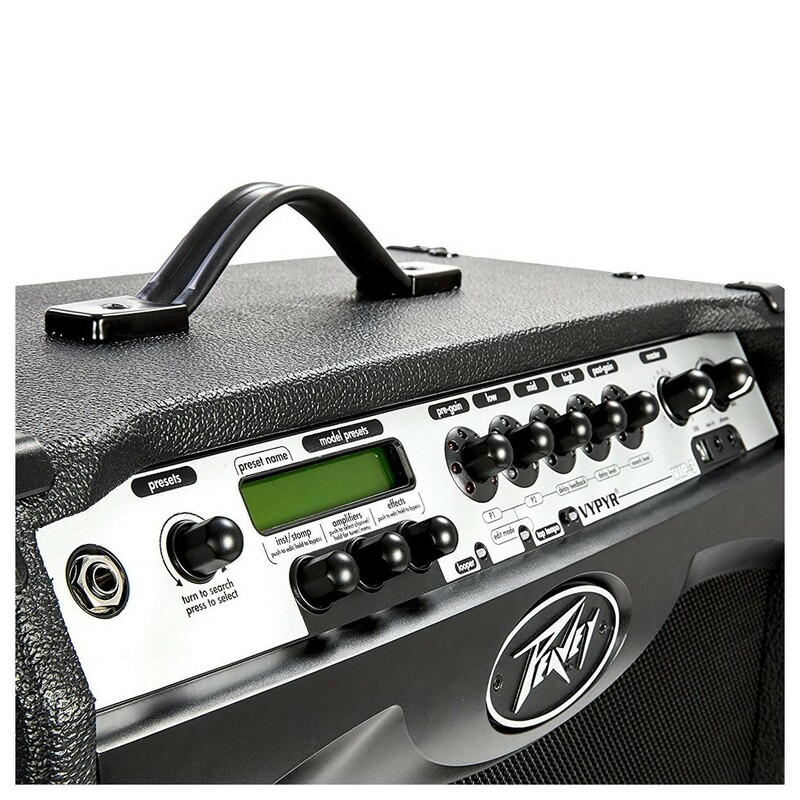 Not only does the Vypyr VIP 3 morph from a bass amp, to an acoustic amp, to an electric amp, it also allows the electric guitar player access to instrument models as well - another Peavey first! The Vypyr VIP's astonishingly realistic instrument simulations allow users to manipulate the sound of their electric guitar to mimic an acoustic guitar, a bass, a 12-string guitar, and much more! the VIP 3 uses a combination of powerful 32-bit, floating-point SHARC® processors and patented TransTube® analog circuitry to create the best sounding modelling amplifiers available. Thanks to the Vypyr VIP 3's new acoustically ported semi-closed back enclosure sounds both full and "present". Guitarists now have access to over 50 amp, instrument and stompbox models as well as rack style effects, enabling endless options for creativity and a whole new range of tonal possibilities. Peavey's WYSIWYG (What You See Is What You Get) interface enables users to easily view all of the parameters at a glance, without the need to scroll through menus or to plug into a computer or external device. Vypyr's new USB bi-directional data and audio port provides an easy way for users to connect to a computer and record, access the Vypyr Edit software and store presets, get lessons, and practice to backing tracks. The Vypyr VIP 3 also includes a MIDI port for use with Sanpera® foot controllers and firmware updates. 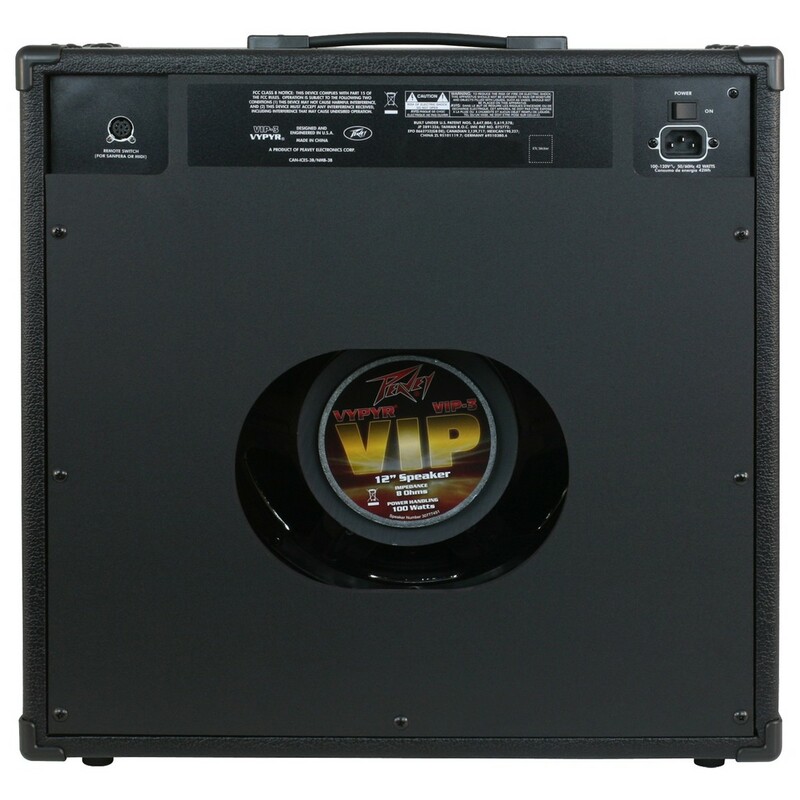 The Vypyr VIP 100-Watt VIP 3 has Peavey's PowerSponge variable power so players can adjust the power output to suit any playing situation. Other staples like a built-in chromatic tuner, on-board looper with Sanpera pedal control (Pedal sold separately), studio quality headphone out, and much more round out its extensive array of features. 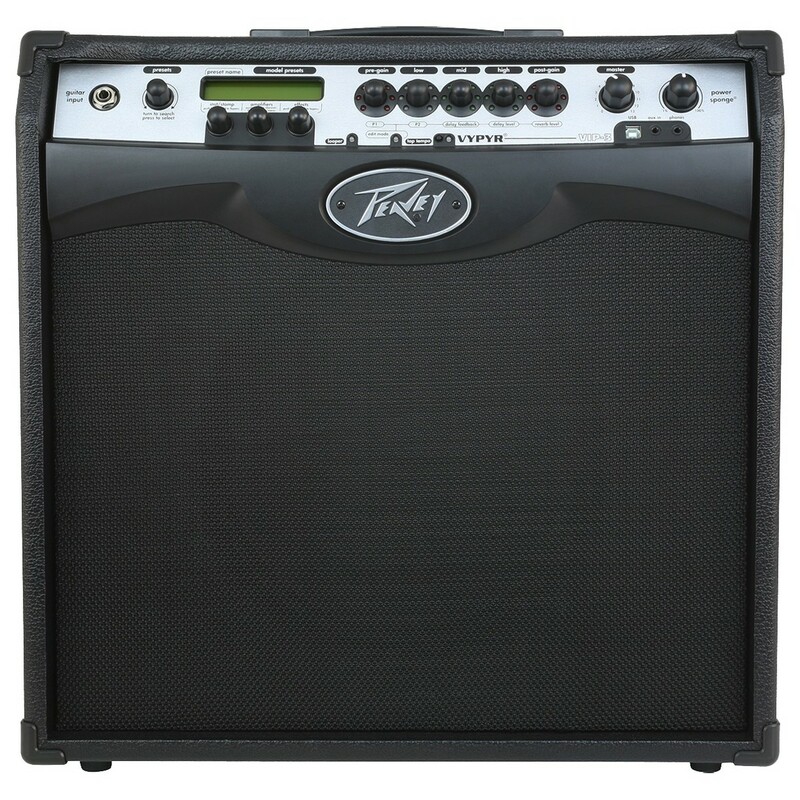 You may also be interested in the Peavey Sanpera II VYPYR Footswitch. Instrument models including Acoustic guitar simulators, 12 String guitar model, Mandolin model, 7 String model, Baritone Model, Resonator model, Bass guitar models, and more.